The draw and format for the final stages of the 2017 Shanghai Masters is now available. Ronnie O’Sullivan has climbed to sixth on the one year ranking list thanks to his victory at the Dafabet English Open. 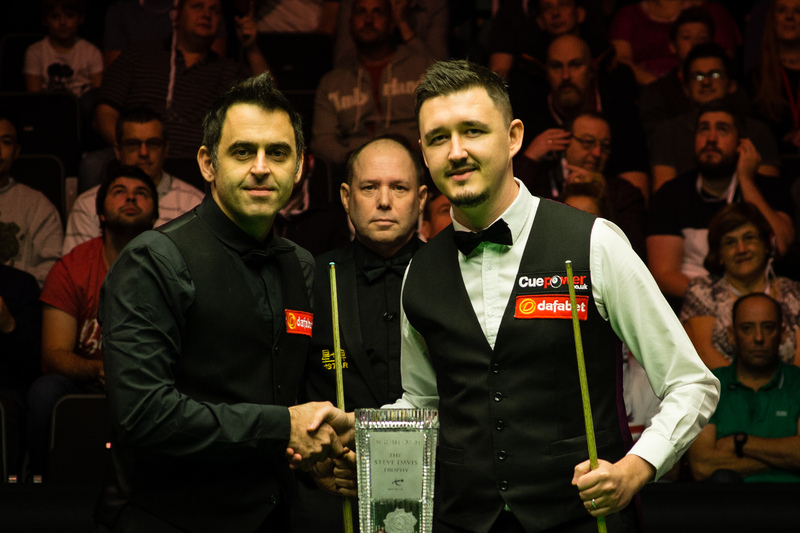 O’Sullivan captured the 29th ranking title of his career by beating Kyren Wilson 9-2 in the final in Barnsley on Sunday. And the £70,000 top prize sees him leap from 38th to sixth on the one year list. 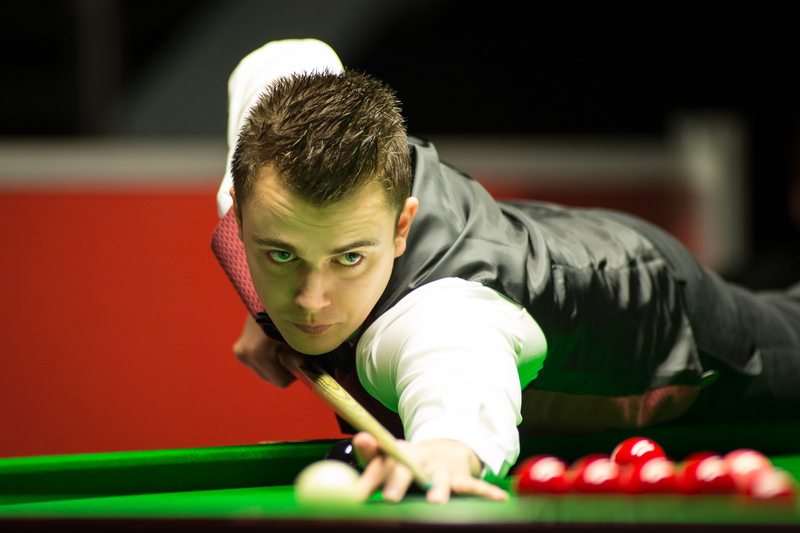 Wilson banked £30,000 and he’s up from fourth to third, now behind only Luca Brecel and Ding Junhui. Switzerland’s Alexander Ursenbacher reached the semi-finals of a ranking event for the first time and he’s up from 60th to 22nd. This list will once again be used to determine the field for the Ladbrokes World Grand Prix and Ladbrokes Players Championship later in the season. The top 32 on the one-year list after the Coral Shoot Out will qualify for the Ladbrokes World Grand Prix in Preston (February 19-25) then the top 16 from the same list after the Gibraltar Open will qualify for the Ladbrokes Players Championship in Llandudno (March 19-25). As it stands there are eight players in the top 32 of the one year list who are outside the top 32 of the official two year list, and six players in the top 16 of the one year list who are outside the top 16 of the two-year list. O’Sullivan moves up from 12th to ninth on the two-year list while Wilson is up from 15th to 12th. Ursenbacher jumps from 91st to 75th. Neil Robertson reached the quarter-finals in Barnsley to boost his hopes of a place at the Dafabet Masters in January, he’s now in 17th place and less than £7,000 behind 16th-placed Ryan Day. To see how that race is shaping up click here. And WPBSA published this one to explain their policy regarding trophies … no doubt to answer some of Ronnie’s rants on twitter. Following recent comments made via social media the WPBSA today seeks to clarify its policy in respect of both original and replica tournament trophies.Historically, it was not practice to provide replica trophies to every tournament winner, with players instead receiving a commemorative plaque or medal to keep. However, last year, the WPBSA undertook a full review of all its trophies on the World Snooker, this included the commissioning of new high-quality and meaningful trophies for new events. The WPBSA made also made a further commitment to provide replica trophies to a number of past champions, many of which have now already been provided. These include ¾ size World Championship trophies, handmade by an original Sheffield Silversmith, the UK Championship, International Championship and the German Masters since the introduction of the new Waterford Crystal bowl. We are also working alongside our incredible partners, Waterford Crystal, who are renowned for quality and excellence to produce bespoke replica trophies for winners, not only for our Masters, but also for other prestigious World Snooker Tour events. It is our expectation that the Masters trophy will be available for the 2018 Dafabet Masters, this is in accordance with the timeframes previously discussed with individual players. Many of our current trophies have significant historical value. We work on the principle that players are proud to put their hands on the original iconic trophy when they earn their place in history and become a champion. The current policy is that players who win major titles can take home the original trophy until the event next takes place. At this point, players will be provided with a suitable replica worthy of a champion. Again, the principle being that players are proud to take home the actual trophy to be on display, it is also an opportunity to assist players with local media around their achievement. This policy was in place at the 2017 Dafabet Masters. Ronnie O’Sullivan was offered the original Paul Hunter Trophy to take home, he was also informed that he would be provided with a suitable replica when it was to be returned. He refused to take the trophy and World Snooker have retained the trophy. Ronnie has since been offered delivery of the trophy on a number of occasions, however has continued to refuse it. Ronnie was also offered the original English Open trophy following his exceptional performance in Barnsley last week, he also declined to take this trophy away. The WPBSA will continue to work with its partners to reward players when they achieve their dreams. The World Professional Billiards and Snooker Association (WPBSA) conducted an investigation into the allegation that Stuart Bingham was betting on snooker in contravention of the WPBSA Members Rules. The investigation was supported by the Gambling Commission Sports Betting Intelligence Unit. On 15th March 2017 the WPBSA decided that he had a case to answer and the WPBSA Disciplinary Committee with an independent chair would hear the case. After a hearing chaired by Nicholas Randall QC that took place on 11th July 2017, Stuart Bingham admitted a small amount of betting on snooker using two accounts in his own name, to limited betting on snooker using three proxy accounts and to betting with a third party on high break scores. The WPBSA contested his account and the hearing found him to be guilty of much greater betting over at least seven years. This included bets on his own matches using an account in his manager’s name between 2003 and 2015, which he had not admitted. The estimated total of his betting on snooker in this time is £35,771. Where he was using proxy accounts to bet, it is not possible to establish whether he won or lost from his betting activity. The detail of the betting and finding of the Committee is summarised below where the numbers correspond with the charges that can be found here. 1. He bet on snooker using an account in his name in 2009-10 to a total of £424.44, with losses of £280.20. 2. He bet on snooker using an account in his name in 2012-13 to a total of £20, all of which were losing bets. 3. He placed bets on snooker matches that he was playing in using his manager’s account. There were 36 matches between 2003 and 2015 to a value of £4,636. 4&5(a)i Between 25th August 2009 and 11th January 2017 he bet on snooker using an account in his manager’s name. 5(a)ii Between 1st January 2012 and 11th January 2017 he bet on snooker using a different account in his manager’s name. In relation to counts 4 and 5(a)i and 5(a)ii the exact value of the betting by Stuart Bingham on his manager’s account could not be ascertained. The hearing found that he was responsible for 50% of it to a value of £29,619.73. 6(a) Between 1st December 2014 and 8th November 2016 he placed bets with a third party to a value of £ 4,000 that his highest break in a competition would be beaten. All of which were winning bets, where made a profit of £7,000. The charges at 5(a)iii and 6(b) were not found. The finding of the Disciplinary Committee can be found in full here. On Wednesday 11th October 2017 there was a second hearing to determine sanction, where the decision of the Committee was that Stuart Bingham serve a six month period of suspension effective from 28th October 2017. Of this period three months and one day are suspended until 31 October 2018 subject to Stuart Bingham confirming that he will comply with any course of medical treatment recommended to him regarding his gambling and will commit no further rule breaches. This means that Stuart Bingham will serve an immediate suspension from 28 October 2017 until 26 January 2018 and the remainder of the six month periods of disqualification (three months and one day) will not be enforced provided he complies with the conditions identified above and provided also he is not found to have committed any similar breaches during the period ending 31 October 2018. The Committee ordered Stuart Bingham pay £20,000 towards the costs incurred by the WPBSA. The finding on sanction and costs can be found here. He has until 6th November 2017 to appeal the decision. WPBSA Chairman Jason Ferguson said: “It is very disappointing to see such a high profile player fall foul of the WPBSA Betting Rules. Stuart is a great competitor and I have no doubt he has always played to the best of his ability. This case shows that there are no exceptions to the rules. Players must understand that they cannot bet on snooker at all, even if they are not involved in a match or event. Any player found to breach of the betting rules will face the most serious of consequences”. The full WPBSA Members Rules can be viewed here. Just give Ronnie his trophies already. Why does it take so long? According to the findings of the investigations, Stephen did more than bet though, he actually fixed matches and frames to match his bets, something Stuart didn’t. Every time these betting things come up it makes Stephen lees punishment look very harsh indeed!